It’s fair to say that I have become kind of totally obsessed with lockboxes lately. Where have these things been my whole teaching life? After my very first lockbox experience with students, I literally started dreaming of new challenges. It was something about the level of enthusiasm and cooperative problem solving that had me at hello. 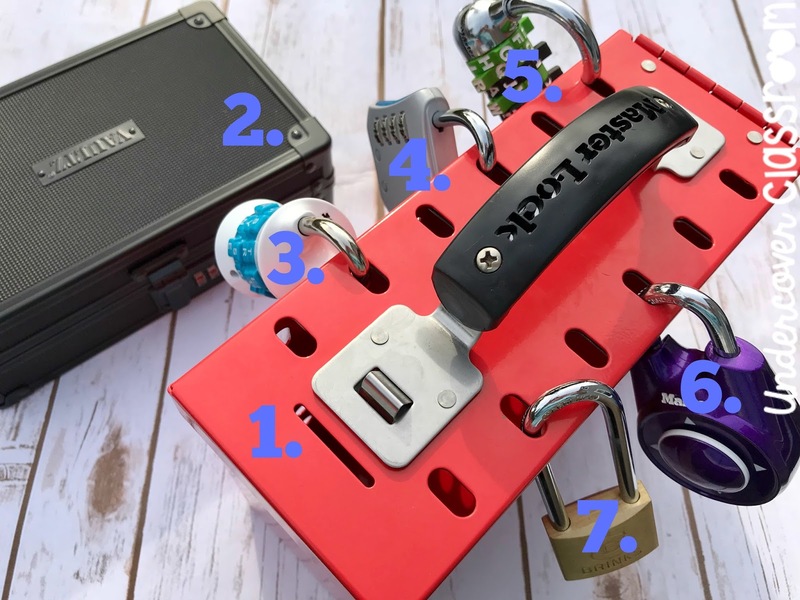 If you are new to the world of Lockbox Challenges, the basic idea is that students are motivated to solve a variety of complex puzzles in order to open locks and get into a box. There is usually a story that hooks the students, and the tasks are all related to a central theme. When students get into the box, they find certificates of completion and sometimes other small rewards related to the theme. Setting up your first lockbox is a bit of a cost and time investment. 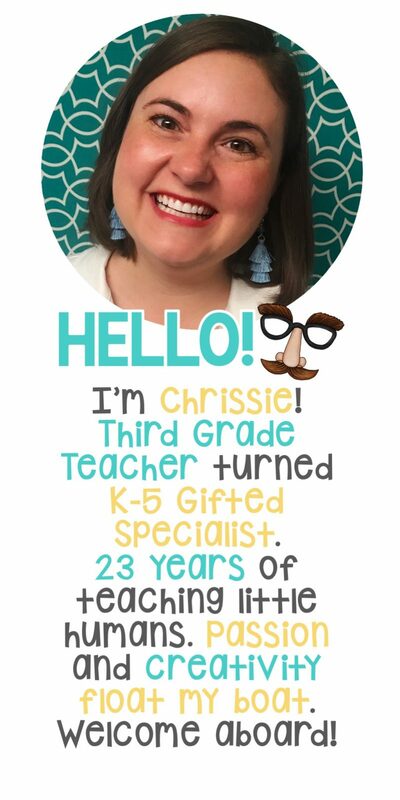 I know some teachers have enlisted the help of PTOs, written grants, or raised funds through DonorsChoose. 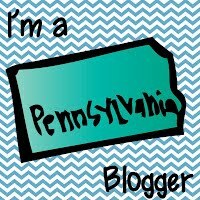 Many teachers have asked about the boxes and locks I use, so here is a tour of my setup! Please note that Amazon affiliate links are used in this post which means that I will receive compensation if you make a purchase using one of these links. 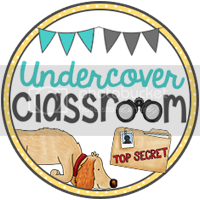 All of the lockbox materials described below are the ones I use in my own classroom. 1. 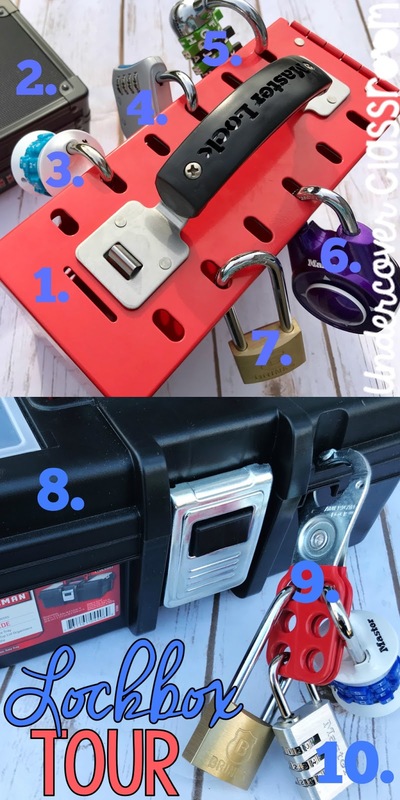 The AWESOME Master Lock Box: This thing is seriously the king of all lockboxes. I love it so much because it has twelve large holes built right into the lid of the box that easily fit all of the locks, without using a hasp. Being made of steel, it is well-constructed and heavy duty. 2. Small Lockbox with Built in 3 Digit Lock: Again, I can’t say enough good things about this little black box. The built-in lock is very convenient and easy to operate. For most of the challenges, this box holds a UV flashlight, or another clue to assist in opening one of the locks on the main box. UPDATE: The original Vaultz (small black box) is no longer available on Amazon, so I have provided a link to something similar. 3. 4-Letter Word Lock: I really like this 4-letter word lock. The letters are not removable, so there are some limits to the words you can make, but it is easy to set by turning the bottom of the lock with a coin. 4. 4 Digit Number Lock: When it comes to 4 digit number locks, there are many to choose from. I have been very pleased with my 4 digit Master Lock. The dials are easy to turn and the combination numbers line up nicely on the side of the lock. 5. 5-Letter Word Lock: The 5-letter lock I use is pretty common and fairly easy to find. Just a heads up that you will need to purchase two of these locks in order to have enough of the letter dials. It actually only comes with 4 letter dials, plus some number dials. Having the extra dials from a second lock will allow you to spell more words. 6. Directional Lock: The directional lock is my favorite. It is a unique type of lock. My students really enjoy moving the knob in various directions to get it open. This lock requires a small amount of training to operate because the top part must be squeezed twice before entering the combination. I taught my students how to use this lock before our first challenge. 7. Key Lock: Key locks are quite easy to find. I am very happy with my key lock by Brinks. I like that it has a long shackle, which makes it easy to connect to the box. The key also turns easily, causing the lock to pop right open. In addition to the boxes and locks, most Lockbox Challenges require an invisible ink pen and UV Flashlight . The invisible ink pen is used by the teacher during set up to write a secret message. 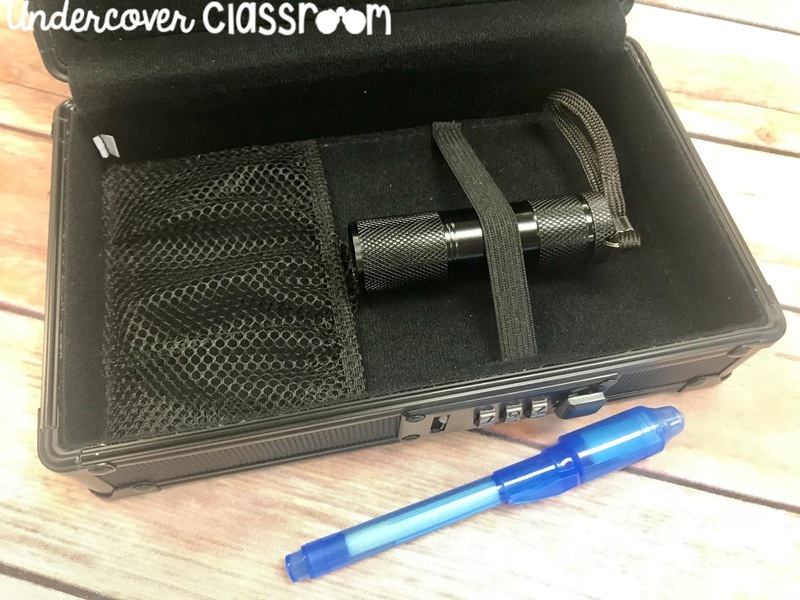 The UV flashlight is usually locked inside the small box and is used by students to read the secret message. With all of the above materials, you will be ready to get started. 🙂 The best advice I can give you is to save the directions for every lock. The locks will need to be reprogrammed for each challenge, with unique codes for the students to find. As an alternative to the Master Lock box (above), I have also used (#8 below) this Craftsman toolbox. This particular toolbox works well since there is an oval slot to secure the lid, using a (#9 below) hasp. Many toolboxes I find have a small, circular hole to insert one lock, but the hasp won’t fit through. The hasp is necessary since you will most likely want to attach several locks to your box. I also have a separate 3 digit number lock (#10 above) to use with the hasp, in case I’m not using my small black box with the built in number lock. 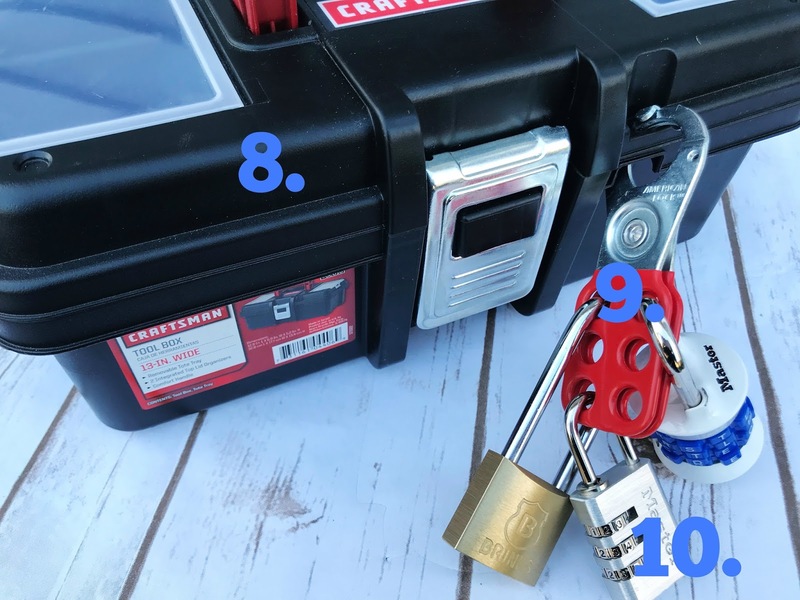 When I bought all the supplies for my own lockbox setup, I spent A LOT of time shopping around, reading reviews, and comparing prices and lock options. I did end up purchasing all of my original supplies through Amazon, but you may also want to check your local Walmart or Home Depot. I have since found some (but not all) of the locks in these stores. Best wishes in your lockbox journey! In my opinion, the cost and time are totally worth it. Have fun! Try a FREE Lockbox Challenge! Subscribe to get our latest content by email and receive a FREE Video Game Lockbox Challenge download. 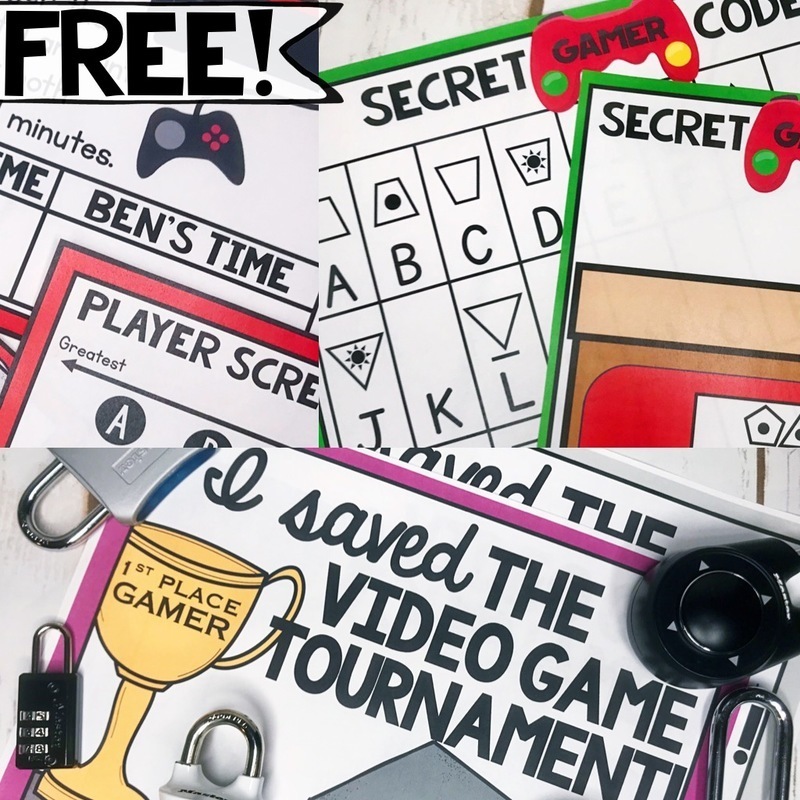 Receive 6 different challenging puzzles that will engage your students, while building teamwork and critical thinking skills! No junk. 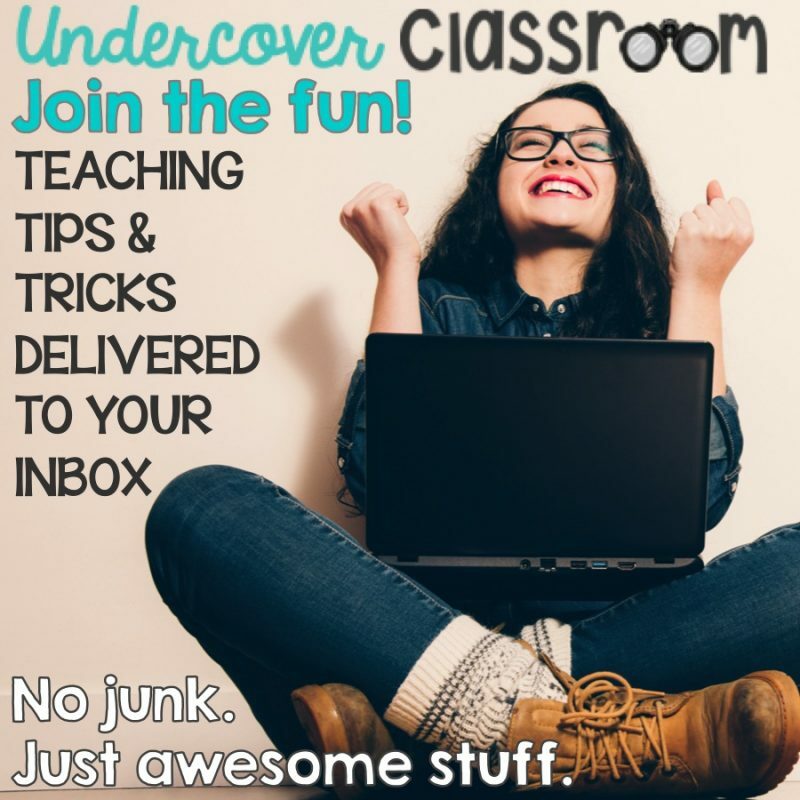 Just awesome stuff for awesome teachers. Success! Now check your email to get your FREE Video Game Lockbox Challenge and confirm your subscription.